Quick Connection System SharkBite NEXUS System. SharkBite NEXUS is a quick connection system for plumbing and heating professionals that doesn’t require tools for installation. Our quick connection system for professionals is recommended for newly-built housing and for remodelling/repairs, providing security and quick assembly. A universal system compatible with PEX, PERT and MULTILAYER pipes. SharkBite NEXUS system is made of PPSU (Polyphenylsulfone) – BSP threads. 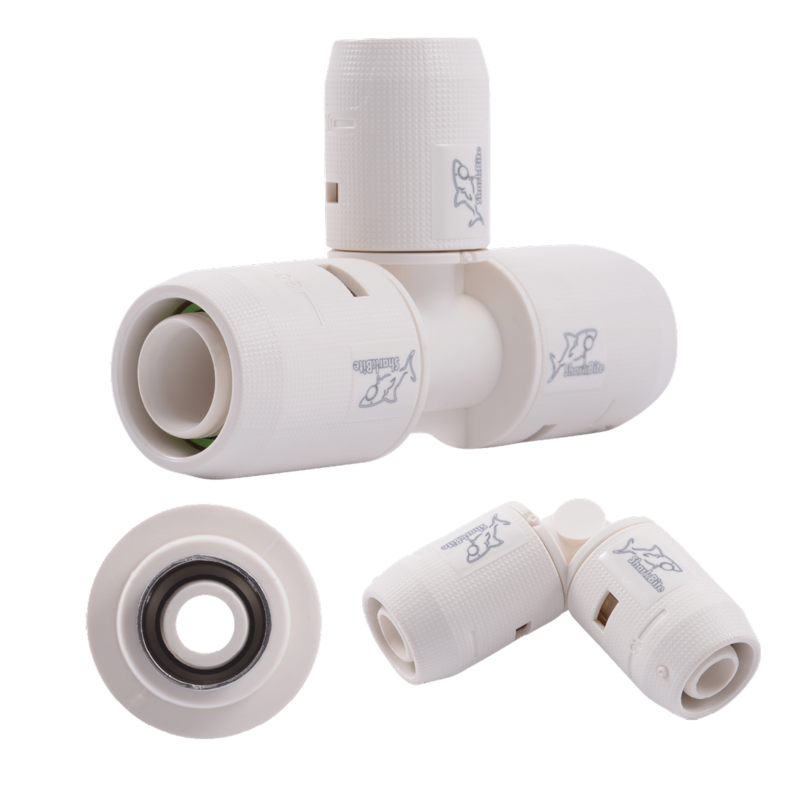 Look inside the SharkBite® Nexus ™ and see the quick connection system of this innovative fitting. 1. Cut easily the desired pipe length by making a square (90º). 2. Bevel, and calibrate the pipe. 3. Insert the bevelled pipe end into the fitting until it stops. 4. 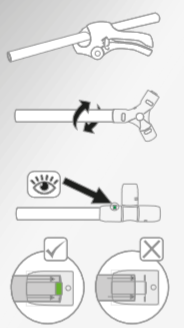 Visually check the GREEN ring through the inspection window to ensure that the pipe is fully home.